Looking to improve your appearance without having to invest in expensive beauty products or surgical procedures? The truth is, the secret to being beautiful does not come with a high price. In fact, you only need to be more conscious about the foods you eat and make sure that what you put on your plate can benefit not only your health, but your skin as well. Fortunately, health and beauty go hand in hand – and that means as long as you stay healthy, you can look naturally attractive, too. So, forget about those pricey skin creams and cosmetic surgeries, and consider eating several types of vegetables that make you look beautiful. With these food items, you will notice your skin clearing up, your eyes looking bright and stunning, and your body looking as gorgeous as ever! Red bell pepper is one of best sources of vitamin C, which is instrumental in enhancing the growth of white blood cells that limit the number of bacteria and germs in your body. With a good supply of vitamin C, you can also strengthen your immune system and make yourself less prone to infections. Furthermore, red bell pepper has been linked with wrinkle-free skin because of its high amounts of vitamin C. It is the same nutrient that stimulates collagen production, which is key to achieving young-looking skin. Eat your way to an attractive and youthful skin with these anti-ageing and beauty-enhancing vegetables. With these super-foods, you can look younger, stay healthier, and feel more confident about yourself. Famous for their purple or pink exterior, beets are tasty veggies that you should consider adding in your regular diet. It also serves as a “beauty food” that can help minimize blemishes and keep your skin moisturized and free from fine lines. In addition to these skin benefits, beetroot aids in the metabolism of fats with the help of its key component called betaine. Thus, you can also control your weight while enhancing your skin’s smooth, clear and supple appearance with regular consumption of this veggie. If you want an easier way to eat beets, then you might want to extract its juice that’s loaded with chlorine, among several other important nutrients. Add a few tablespoons of this juice to your dishes and salads for that fascinating flavor and nutritive value. Eating dark leafy greens such as spinach can offer life-changing benefits on your health and overall appearance. It’s not pure magic or empty promises, but it’s the impressive component in spinach that makes all of these possible. For instance, spinach is loaded with zeaxanthin and carotenoids lutein, which are essential substances that can make your eyes look more youthful and brighter. After all, you can’t be beautiful with tired and red eyes, since that’s the first thing people see when they look at you. What’s more, spinach is rich in iron, an important mineral that can give you a healthier-looking complexion. So, make it a point to eat spinach everyday to achieve all these promising skin health benefits. Toss in some spinach in your salads or sauteed veggies, or use it as side dish to your tasty steak for an extra boost on your health. To give an interesting taste to your spinach, add some heavy cream, olive oil and blue cheese on these leafy greens. You may even prepare a zesty spinach smoothie combined with cucumber, broccoli and lime for a refreshing and nutritious drink. These shiny and smooth purple veggies are instrumental in giving your skin that equally smooth and radiant appearance. 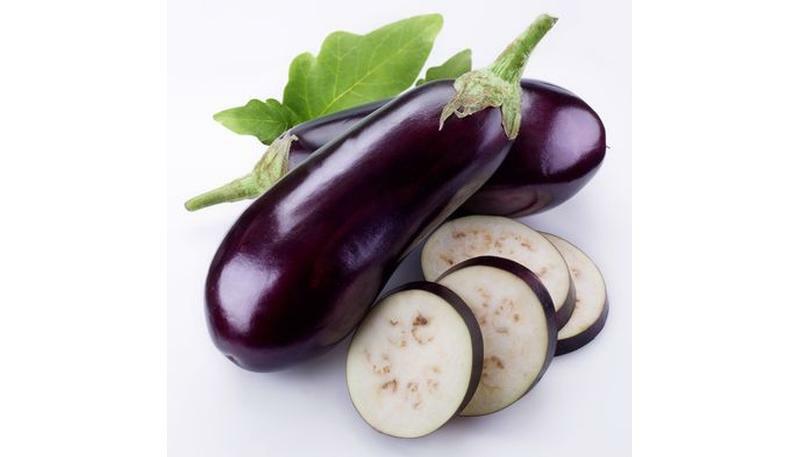 It even has a special anti-ageing component called nasunin, which is responsible for the vegetable’s deep purple colour. It’s also this substance that prevent cancer cells from spreading as it reduces the blood supply needed by these cells to multiply. Nasunin is not only powerful in protecting you from cancer, but it has great benefits to your cognitive function, as well. According to researchers, this substance prevents free radicals from entering your brain and damaging neurons that can increase your chances of developing Alzheimer’s Disease. Kale Another excellent veggie to keep you pumped up and beautiful is kale. One serving of this power veggie (about a cup of cooked kale) gives your body a high percentage of vitamin K that can help prevent osteoporosis and heart disease. Moreover, it can enhance your skin’s amazing glow, so you’ll look great naturally. If you want to get additional health benefits from this vegetable, you should go for Winterbor Kale. This variety is not only loaded with vitamin K, but it has significant levels of fibre to maintain your cholesterol and blood pressure levels. This way, you can keep cardiovascular diseases at bay. Basil Fragrant and aromatic, basil is a staple ingredient in most pastas and Asian dishes. Since this herb is rich in antioxidants, particularly eugenol, you can count on its medicinal benefits not only in improving your health, but also your skin’s quality. With the help of eugenol, basil’s key component, cervical cancer cells are prevented from multiplying and causing further damages to your body. Instead of thriving in your system, these cancer cells diminish, thanks to the anti-carcinogenic effects of basil. So, when your overall health is in superb condition, you can expect your skin to look amazing. These vegetables are rich in sulfur compounds that prevent tumor growth by blocking certain enzymes that trigger abnormal growths in your body. Based on scientific studies, eating brussels sprouts give you your daily supply of sulfur compounds. This substance is responsible for minimizing chances of infection, inflammation and rheumatoid arthritis. This is a very good knowledge to those who prefer diet to enhance their appearance instead of processed drugs. More grease to your elbows.